Weightless SIG announces Weightless-P hardware and Weightless Ignition Pack, partners with Antenova. The Weightless SIG today announced availability of Weightless-P hardware and the pre-launch of a Weightless-P Software Development Kit. In conjunction with Weightless Vendor partner, Antenova, Weightless-P hardware is to be shown at CTIA SuperMobility in Las Vegas, September 7-9. A limited number of free Weightless-P SDKs will be made available to developers in an offer specific to the show. “The Weightless Ignition Pack includes hardware and full Weightless-P software protocol stack combination delivering substantive improvements and competitive advantages over existing IoT connectivity options”. 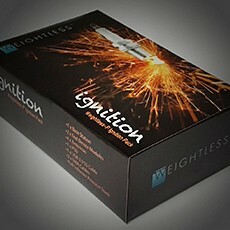 The Weightless Ignition Pack (list price USD$1500) will be made available as part of a pre-launch offer on the Weightless website with a limited number offered to Weightless Developers free of charge. Developers should visit www.try.weightless.org/ctia for full details of the offer. The packs include a Weightless-P base station, end device modules, antennas, a full Weightless-P protocol stack for the base station, end device and host as well as all necessary cabling. The pack will enable a Weightless-P IoT network to be deployed ‘out of the box’. “We are delighted to see Weightless-P take this critical step forward in its evolution with hardware coming soon to the development community”. Weightless-P is an Open Standard for a high capacity LPWAN that is designed for performance. It aims to become the de facto standard for public and private IoT networks. “We are delighted to be working with Weightless just now, as the new Weightless-P technology is being launched to the IoT community for the first time”, adding “We are very pleased to be offering an antenna solution for Weightless-P, which we will back with our expert antenna integration and support services”.